Atterbury Consultants develops and maintains its own line of forestry software. This software contains growth routines, statistical reporting, and for the data collector, in field error checking. Atterbury Consultants is a forestry consulting firm with extensive experience and ability. 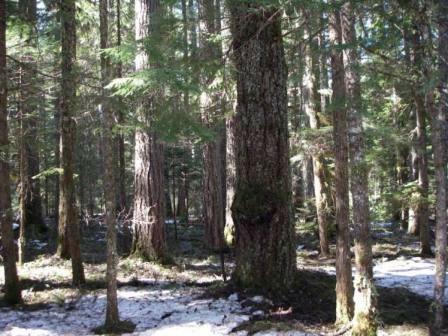 We perform full timberland appraisals for both industrial and non-industrial forest land owners as well as state, federal and local municipalities. In addition to this, we offer a range of forestry related services and products. Over 30 years of business in the Pacific Northwest has taught us how to handle most any situation. Atterbury Consultants, Inc. is an experienced and tech savvy company well suited to the variety of services that we offer. We utilize modern technology to increase accuracy and reduce the time spent on a job. As of December 31, 2012 we will no longer support or sell the 2004 version of SuperACE and FLIPS. Due to changes in computer hardware and operating systems, the 2004 version of SuperACE and FLIPS has become obsolete. We recommend upgrading to the current version of SuperACE/FLIPS before December 31, 2012. When a software product's EOL (End of Life) date occurs, customers will no longer have access to software updates and upgrades for that software product. 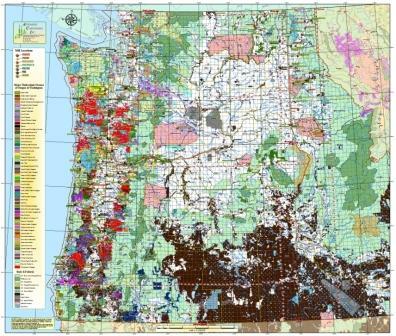 Our maps show major timberland owners in Oregon, Washington. Some variations also show sawmill locations. Mill types, when present, are differentiated by symbol.